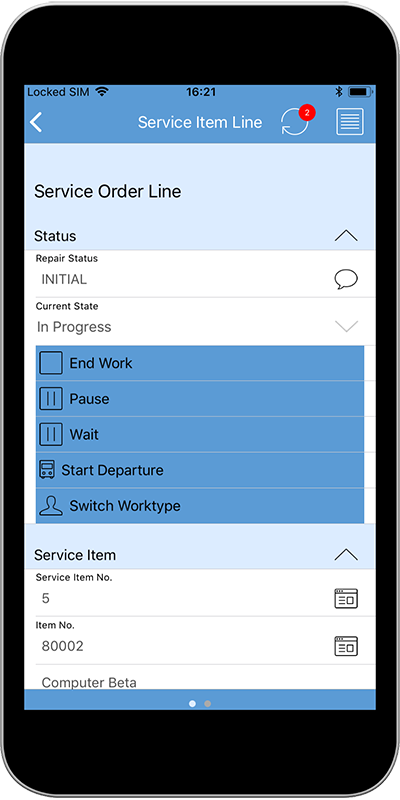 Experience new, mobile work processes for service technicians. All information is available and captured via app including photos. Create a service report on your mobile device and print it directly to your local printer. This feature is fully offline capable without contacting Microsoft Dynamics. You know the typical question: “Is this item available?” Provide an answer using Anveo Mobile App. The Anveo Mobile Service App allows your service technicians a quick and easy access to all relevant data from Microsoft Dynamics 365 Business Central (formerly Dynamics NAV / Navision). 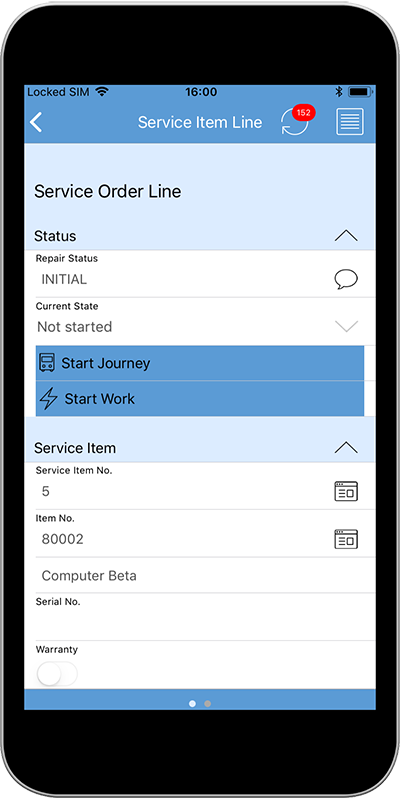 The user interface and functionality of the Anveo Mobile device are configured to the working processes of your service technician. With just a few mouse clicks the layout and processes can be quickly defined in Microsoft Dynamics. You can find the Anveo Mobile App in Google Play and in the App Store, just search for “Anveo Mobile”. 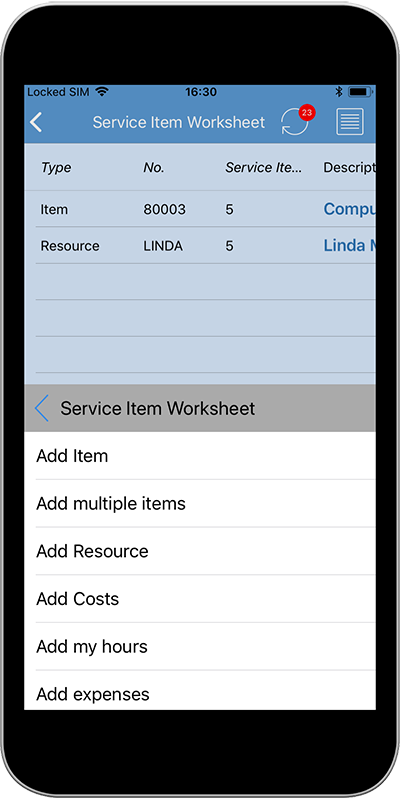 Create a service order in Dynamics and sent it to your service technicians. The dispatcher creates a new service job or adds an existing order for the customer at office headquarters. Then the ticket is sent to a service technician with the expected time requirement. This assignment can also be done through a graphical user interface from third party software. 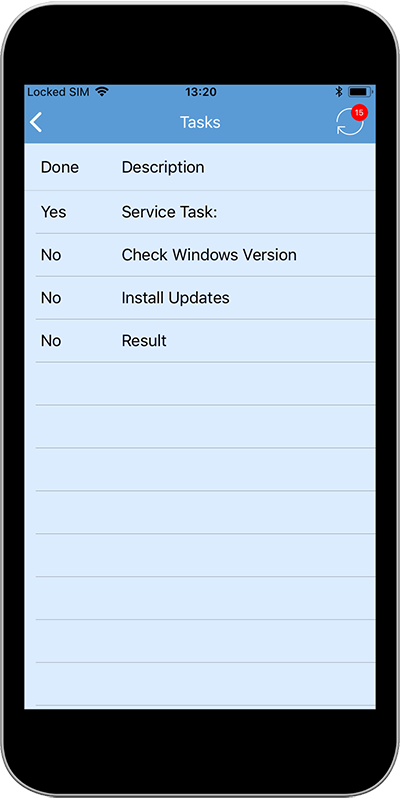 As the service technician is en route, he synchronizes the Anveo Mobile Service App installed on his tablet or smartphone with with Dynamics 365 BC (formerly Dynamics NAV). 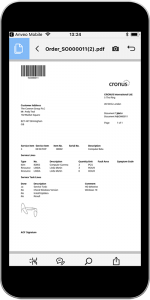 Immediately the technician can view the newly assigned service order under “My service order”. In the service order, the service technician can easily start navigating to the site of the service order. Should there be a delay, the technician can easily call the customer with just a click from the Anveo Mobile Service App, or compose an email to the customer. 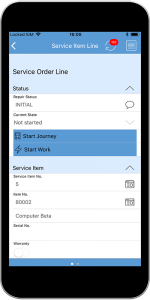 The Anveo Mobile App Service assists the service technician in his daily work. The service technician can set the status to “drive” in the service order itself. 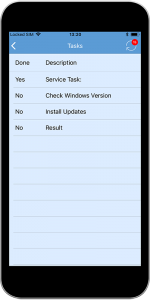 The time required for place of action is automatically detected and registered in the service order. Upon arrival the service technician will click that travel time is completed and service work has begun. 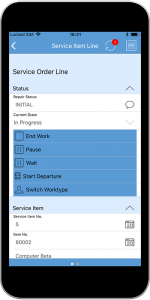 Any breaks can be documented digitally in the Anveo Mobile Service App. The actual time required for the service order is captured. 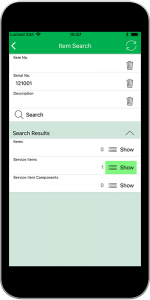 In Dynamics stored documents and images are available for your service technician in the Anveo Mobile Service App. 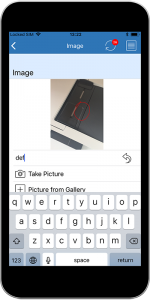 The service technician can document his work with photos, which can be edited directly in the Anveo Mobile Service App to highlight any details. Created photos or documents are available after synchronization in Dynamics 365 Business Central (formerly Dynamics NAV / Navision). The service technician receives all the details of the serviceable item as well as additional information about the job and customer. Changes that the service technician can make are determined at company headquarters in Dynamics. To support your service technician service tasks can be pre-set in Dynamics. These service tasks give step by step instructions of the work to be carried out. Dictionaries are available for easy detection of long texts via smartphone and tablet PC. The Anveo Mobile Service App provides your service technician a quick way to add new items when replacing an item or adding a part to a service order. 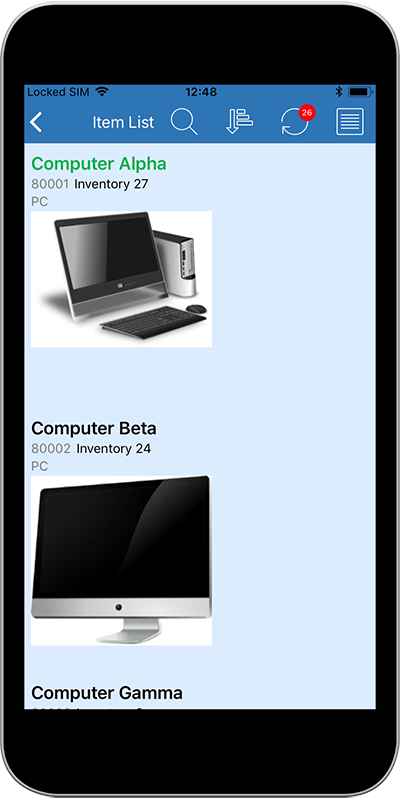 The new item can be selected in a concise list or be captured using the barcode scanner of the mobile device. Set the quantity easily by buttons. The service technician can create a photo for documentation and assign it to the item. The technician can log completion of service work with one click. 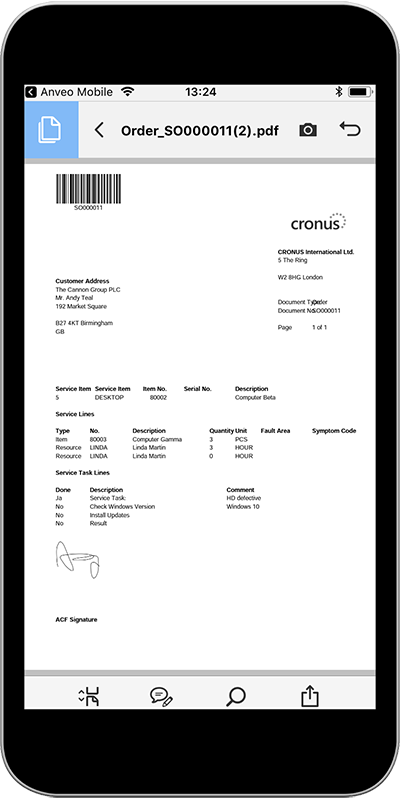 The actual time required for the service order is captured and automatically added to the service order. 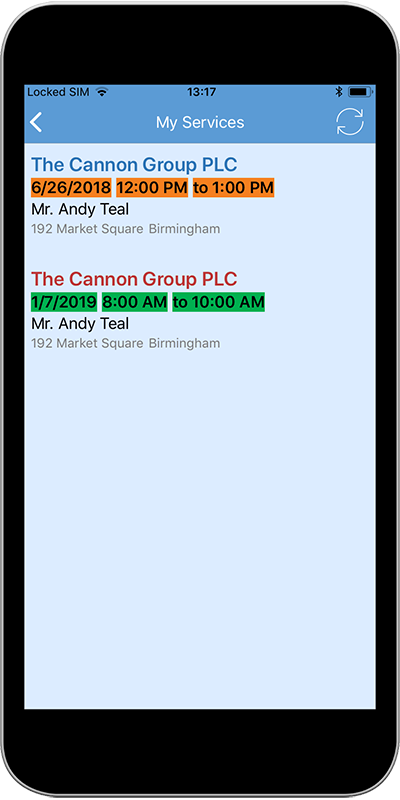 With the client signature on the mobile device the Anveo Mobile Service App automatically sets the status of the service order as completed. After re-synchronization, the data is available in Dynamics. The service technician is ready to begin the next order. 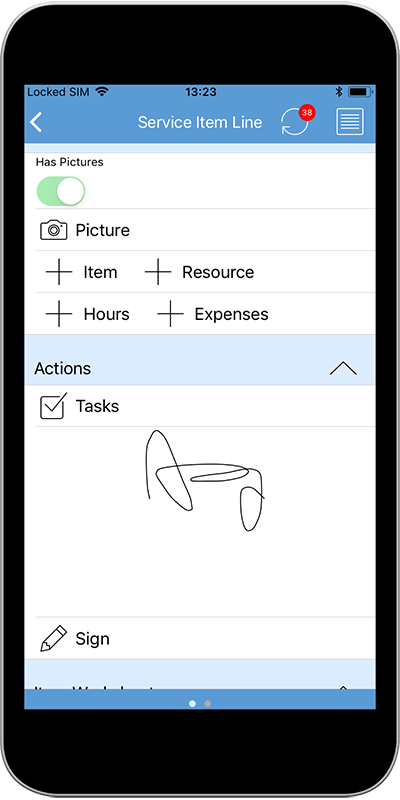 The Anveo Mobile App makes your Microsoft Dynamics completely offline-capable: Access to data is always available regardless of network coverage. 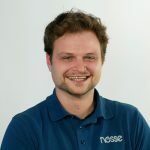 The changed data is synchronized with an existing Internet connection with Microsoft Dynamics. 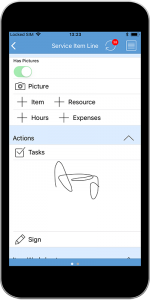 During synchronization of the mobile device with Dynamics 365 BC (formerly Dynamics NAV) only the changed and new data is synchronized. So, the transferred data volume is manageable and can be done even with slower internet connections. 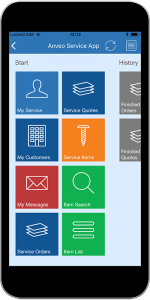 The Anveo Mobile Service App interacts with a variety of functions on your mobile device. For example, you can write e-mails, make phone calls, use navigation and capture photos. You can also use the camera of your mobile device as a barcode or QR scanner to capture items based on their barcodes. 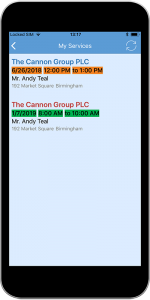 With the Anveo Mobile Service App you can create any service report offline and print it directly on premise. The integrated PDF library allows a flexible layout including service tasks, company logo as well as used items. All devices which can print PDF documents to a local printer are supported.